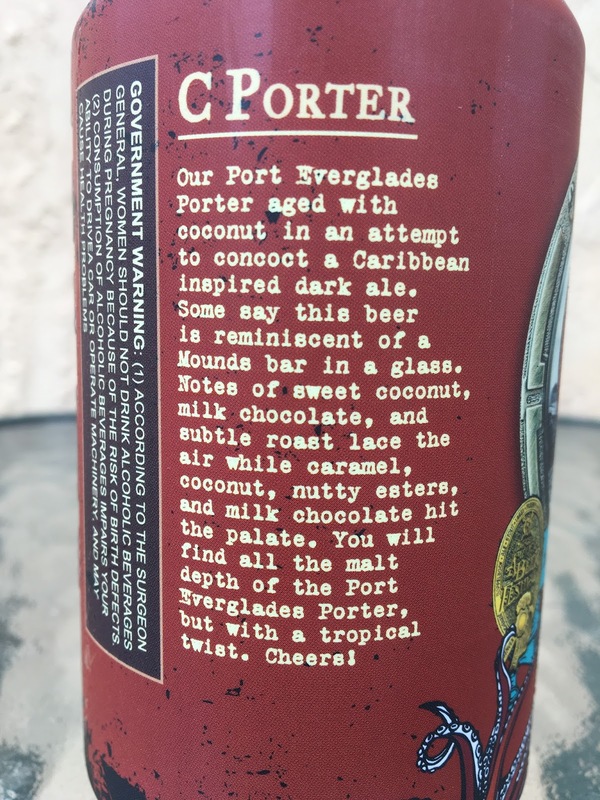 LauderAle started canning and locally distributing their C Porter (coconut porter) recently. Why wouldn't they, considering C Porter's GOLD Medal win at GABF 2017 in the Field Beer category (David Minsky is my favorite, too). Oh, and that win came over their neighbor Funky Buddha's No Crusts, surely an additional super-satisfying caveat! 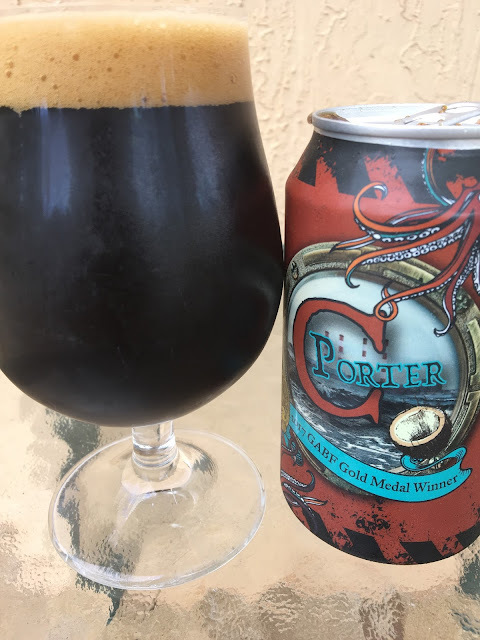 Two Ft. Lauderdale breweries take gold and silver in one category at GABF? Damn straight! So I tasted the beer over at my local liquor store a few weeks ago. The brewery rep told me they were canning more that day, so to look for it in-store soon. And sure enough, it was. She also told me the GABF story. Gold medal winners are given a heads-up on wins though not told what category. Head Brewer Mike White caught a last-second flight to Denver to accept, as the brewery was not pouring for the event. Huge win and accomplishment. Congratulations! I grabbed a can today. There's a story to set your expectations. My particular favorite part is hoping for "a Mounds bar in a glass." 6.5% alcohol. 23 IBU. Milk chocolate sweet aroma, hint of coconut, not huge but nice and very inviting. Chocolate and caramel flavors show first with plenty of coconut coming next. Sweet to start, creamy and milky texture.